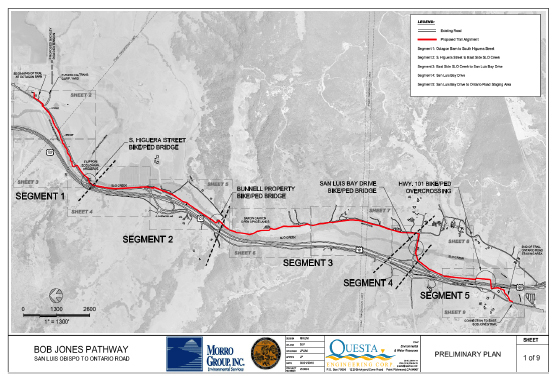 Edna Price Canyon Trail Feasibility Study gets adopted by SLOCOG! This morning the Board of the San Luis Obispo Council of Governments (SLOCOG) unanimously adopted the feasibility study over the Corridor that will eventually contain the Edna Price Canyon trail between San Luis Obispo and Pismo Beach. This will eventually become a segment of the Anza Historic Trail. This study has been ongoing for the last year or so and is the result of a CalTrans Community Based Transportation Planning Grant. It was developed by Questa Engineering. Next steps are the creation of various Environmental Impact Reports (EIR’s) that will cover the various segments of the trail. The Feasibility Study identified opportunities and and constraints along various trail segment options. There are preferred routes… secondary options etc… all of which need to be analyzed in great detail taking into consideration all the various constraints so as to be able to create the best ultimate alternative given the constraints. It has been about 8 years of work so far. I started chatting with stakeholders circa 2008.. and that work led to an initial mapping outlined in previous posts… and then advocacy work with the various communities and stakeholder groups along the route. There are many steps still to go… but we have started… and we are well along the way. thank you to all the jurisdictions, individuals, and groups that have lent their support. Eight years of careful planning — and a bit of luck — paid off last year in a big way for bicyclists in San Luis Obispo. We amended our transportation plan (known as the “Circulation Element”) in three very innovative ways. First, we revised our transportation mode objectives, dramatically increasing the bike and pedestrian trip goals. This is one of the most pedestrian- and bike-centric modal split objectives in the United States. Second, we changed our roadway analysis from Level of Service (LOS)to Multi-Modal Level of Service (MMLOS). San Luis Obispo rejected Level of Service — an outdated standard that measures transportation projects only on the basis of automobile delay — in favor of Multi-Modal Level of Service. MMLOS puts all modes on a level playing field so that the needs of one mode may only trump the needs of another in a manner designated by the modal hierarchy given to that location. With this MMLOS objective in mind, we re-prioritized the modal hierarchy of all of our streets. Some high-traffic arterials are automobile-focused, then transit, then bikes, then peds. Other streets have different hierarchies. Residential neighborhood streets are prioritized for pedestrians first. Major arterials are prioritized for transit first. It is a complex “complete streets” effort that will balance the needs of all modes in the city over time as streets are rebuilt or modified. Third (and most important! ): We created a policy that allocates general fund transportation spending by mode to match the mode share percentage goals desired. If you remember only one thing from this article, this is it. This policy mandates that our city must allocate general fund transportation spending at the same ratio as the mode share goal desired. Meaning 20 percent of funding needs to go to bicycling. This is a huge shift from business as usual in America. These changes didn’t happen all at once. They happened over the course of about eight years under the guidance of many minds at Bike SLO County and with the help of many hundreds of citizens. If we citizens had tried to make this all happen at once during a Circulation Element update, we would have failed. It happened because we focused on the smallest relevant plans first. 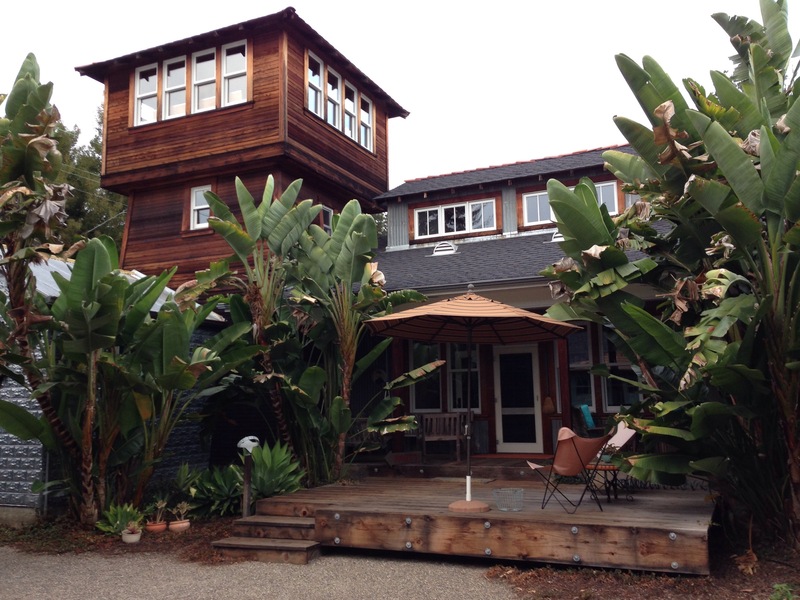 Our first opportunity for meaningful policy change came when the City Planning Commission was approving the Climate Action Plan, with the aim of reducing the city’s greenhouse gas emissions. One of the suggested strategies in this plan was to decrease single occupancy vehicle trips. One way to do that is to encourage an increase in the mode share of alternative modes such as biking and walking. I was on the city planning commission at that time and pitched the idea of pushing the bike mode share goal to 20 percent, thinking that we might get 15 percent as a compromise. But in a surprise vote, the balance of the planning commission agreed to the new 20 percent bike mode share goal. The City Council later approved the new Climate Action Plan. But other older city plans, like the Bicycle Master Plan and the city Circulation Element, still had the old 10 percent bike goal. (Note that the current bike mode share is only about 6 percent.) So a year or two later, when the Bicycle Master Plan came up for review, it was modified to match the new 20% from the Climate Action Plan. Since city staff were able to explain that they were merely updating the bike plan to match the more recent climate action plan, it went through without a hitch. A few years later, the city’s transportation and land use plan, known as LUCE (for “Land Use Element and Circulation Element”) came up for updating. Because I was a current City Planning Commissioner I was appointed as chairman of the citizen task force dedicated to overseeing the update. The task force debated where to go with the modal split percentage goals in this new Circulation Element. But the simple fact that the Planning Commission and City Council had already approved the 20% figure in the Climate Action and Bicycle Master plans led to the task force agreeing 20% bike mode share should also be the goal in this new Circulation Element. In addition to this new modal split objective, the new MMLOS policy, and the requirement to allocate transportation funding in the same ratio as the desired modal split were all incorporated into the new Circulation Element Update. This 20 percent mode bike mode share goal would never have been approved in the LUCE had it not already been part of the two smaller plans. This is a key point and may be a pathway that others can follow to create similar changes in other jurisdictions. Meanwhile, Dan Rivoire (Executive Director of Bike SLO County) was elected to City Council shortly after the City Planning Commission approved the LUCE update, so when it came before the council, his was the deciding vote that approved it and he is now in a position to help shepherd the new prioritization of funding. Together these new policies create one of the strongest funding mechanisms for bicycle infrastructure in the nation. We hope that other cities might be able to learn from our efforts. None of this would have been possible without the efforts of hundreds of members of the public and the tireless efforts of many Bike SLO County Advocates who showed up at City Planning and City Council meetings to voice their concerns and desires. It is the public that creates the demand and the advocate’s job is simply to help the public and the city find the way forward. And our efforts have been recognized! Last month the City of San Luis Obispo was awarded gold status by the League of American Bicyclists. This ranking puts SLO amongst the top 30 cities nationwide for bicycling. Thank you SLO bike advocates! This is a map of the average daily time spent commuting to and from work here in San Luis Obispo County published by Trulia. SLO is in the center… San Miguel at the top… and Santa Maria is at the bottom. Click on it to focus and enlarge it. (bright green is 5 minutes… darker red is 1 hour) I’m not certain how accurate it is… I just like maps. We need safer ways to get SLO’s kids to school on bikes! Check out the attached video that shows the issues of a San Luis Obispo Parent riding with his son to School. We as a city need to consider and create solutions for this. City staff are aware of this stretch and the issues I believe… and are already working to create small changes for greater safety as quickly as possible… but the real change will come only when enough parents and other cyclists show up at City Council meetings to convince Council of the need and the priority. UPDATE>>> 6-12-2013 The City Council has quadrupled their budget for bike infrastructure… just last night. So this will raise the numbers in this post from 50k to 200k. Awesome stuff. THANK YOU CITY COUNCIL! Send them a thank you by clicking at the link at the bottom of this post! 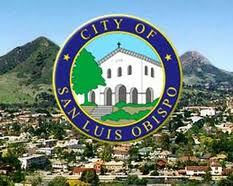 After a long and vocal public discussion San Luis Obispo’s 7 major city goals were finalized a few months ago. Amongst these 7 major goals was one titled “Bikes and Pedestrian Paths” . In a nutshell…. Your City Council has decided to spend just 1 penny on new public bike infrastructure… for every dollar they spend on buying new cars for city staff. The only actual general fund dollars for bike infrastructure is a “misc bicycle improvements fund” of 25k per year (see update at top of post)… which mostly goes to painting “sharrows” onto streets. SLO will never realize it’s bike plan if our council continues to push bikes to the bottom of the list. Here is a link to the latest info on the BOB JONES TRAIL. skip to page 3, project 5 for the latest info.